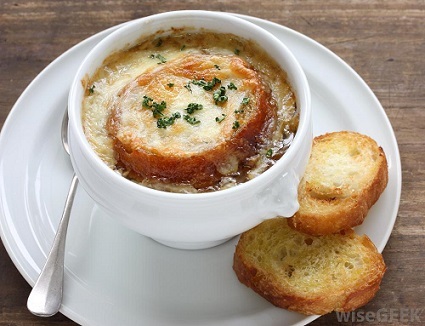 If you have some onions and beef broth you can make French Onion Soup. It has been made for centuries and was once considered a soup for poor people. I guess because almost everyone must have had onions available. The modern version of this soup apparently originated in France in the 17th century. 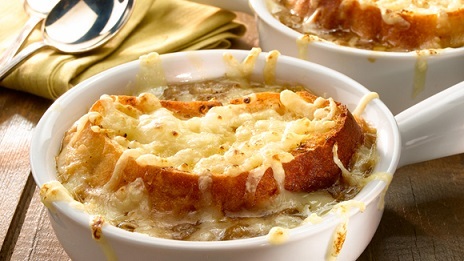 The onions were caramelized, added to beef stock and topped with dry bread (croutons) and cheese. From the reading I have done, the cheese that was used was gruyere, a cheese made in the Gruyere district of Switzerland. 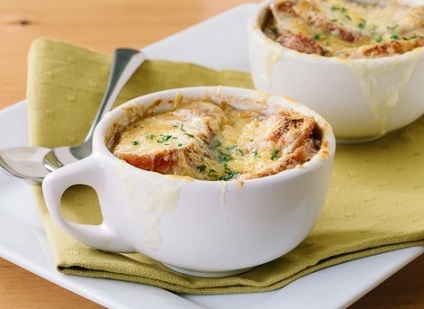 This restaurant soup recipe calls for using Swiss cheese, a cheese that is a member of the Gruyere family of cheeses. TA-DA! Enjoy your famous restaurant soup recipe and the company of those you share it with!